Seizmik’s Versa-Vent Windshield comes equipped with two cleverly designed vents that let the RS1 driver control the amount and direction of airflow into the cab. The windshield also features a defog mode that directs outside air onto the inside surface of the windshield to help prevent fogging. 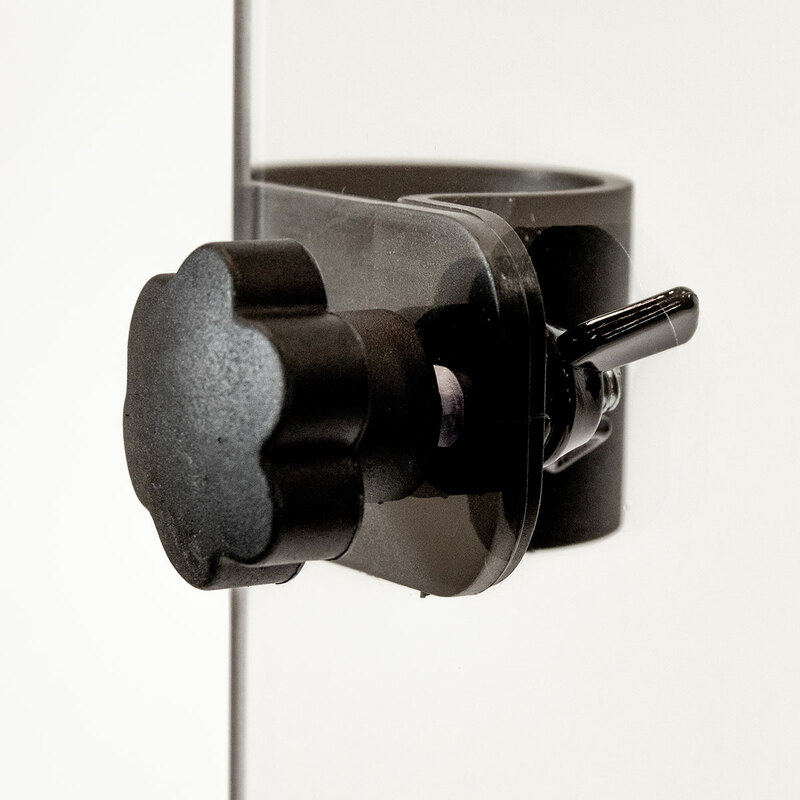 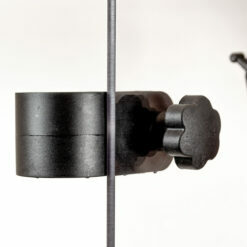 The vents are made of glass filled nylon, so they are incredibly durable. 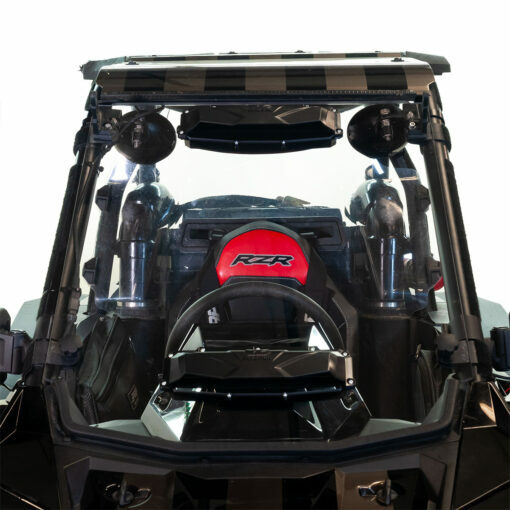 The lower scoop gathers up air off the hood while the upper scoop gathers air off the windshield. Both vents re-direct the air inside the vehicle so even at very slow speeds there is a surprising amount of air that can come through the vents. 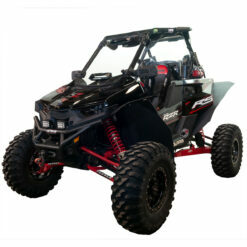 The design of the scoop and the gasket between it and the windshield keeps precipitation out while still allowing airflow in. 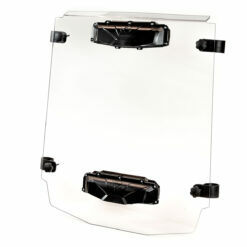 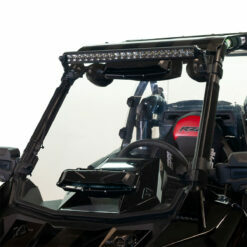 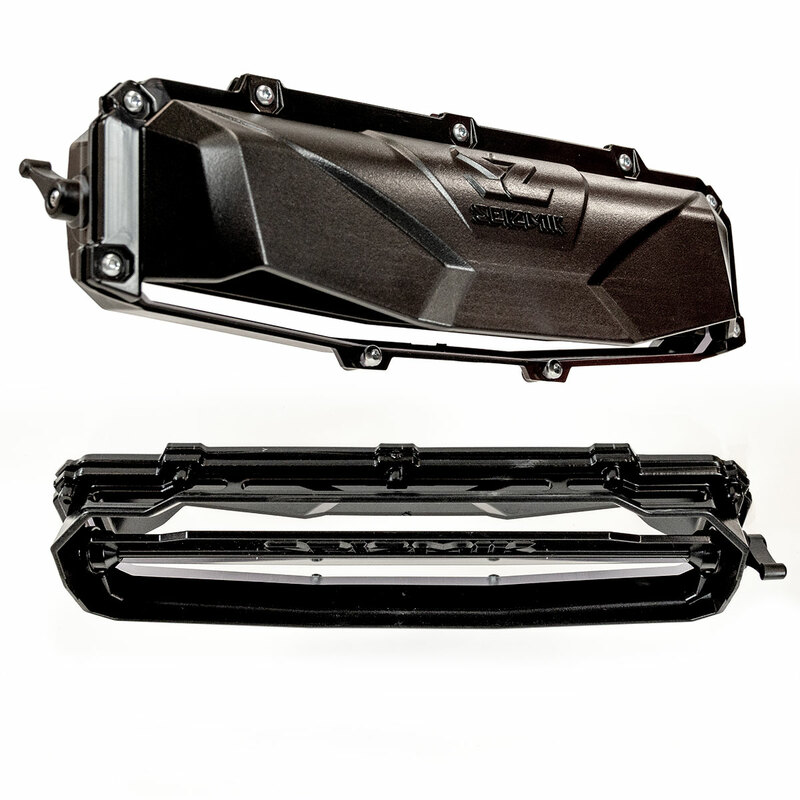 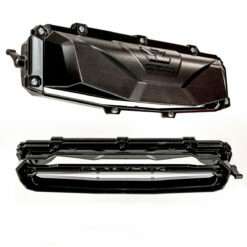 Works with SEIZMIK® accessories: mirrors, light bars, etc.